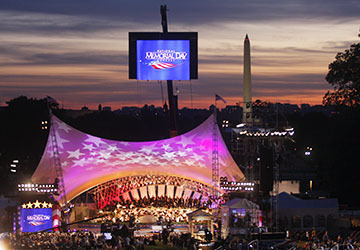 The 2014 National Memorial Day Concert honored our WWII veterans and shed light on the D-Day experience. Letters written from the battlefield capture history in the making but also describe in the most personal detail the terrors of war and the experience of combat. Their authors are courageous and resilient, whether writing from the trenches of WWI or the deserts of Iraq. Each letter reaches out for connection to far way loved ones and friends. In the process these letters offer us a window into their authors’ attempts to process and share wartime moments, as if the sheer act of writing can make sense of human devastation. 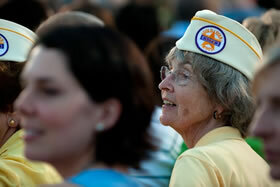 Moreover, each contains the hope that the author’s experiences will not be forgotten. Our WWII vets are dying at a rate of approximately 492 a day; it is more important than ever to honor and preserve their stories. Among the letters in Andrew Carroll’s compilation book, War Letters, are the stories of two World War II veterans— a D-Day paratrooper and a nurse with the Army Nurses Corps. 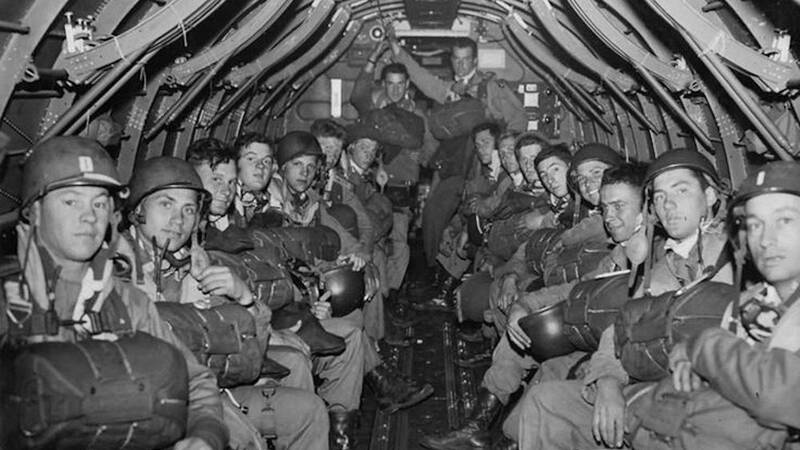 The first comes from Captain George Montgomery, a member of the 82nd Airborne. 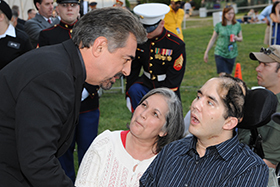 He writes to his fiancée, Arline, an army nurse who was serving in New Guinea. Today is our 20th day in action, yet it seems like years. What has happened to me and my Battalion would be scoffed at, even in a 10¢ novel, as being impossible. Why the few of us left alive—are alive—is something to figure out in church. I’ve seen as many of my very best friends killed beside me. I just can’t believe it is all really happening. I never in my wildest dreams knew such terror could grip your very soul. The business of landing deep in enemy territory & trying to hold a position assaulted and shelled from 4 sides until friendly troops break through is something I hope they never ask me to do again. The night we jumped, D-Day—6 hrs, was the pay off night. The Jerries knew our plans down to the last detail and were waiting for us with everything they had. My chute was on fire from tracer bullets when I landed—right in front of a machine gun emplacement. I cut out of my harness & crawled for a couple of hours with bullets whistling past my ears coming from seemingly every direction. I can’t tell you what else went on—but the story gets good from there. I hope it won’t be too long before I can tell you personally all that has happened. Anyway—God alone brought me safely through this far—of that I’m sure. We have had mail brought to us twice and have been permitted to write twice. Both mail calls brought me letters from you Arline--& I could have wept with joy & relief to hear from you & that you were still of a mind to be Mrs. G. Montgomery one of these days. I’m being as careful as I can be so as to get back to you—but there are times when it’s just up to the good Lord whether you get it or you don’t. My darling, I love you more than life itself—I’ve realized that many times these last 3 weeks when I thought I was going to be killed & always the regret of missing seeing & marrying you was topmost in my mind at the time. I think I can say my love for you has been pretty well tested. Capt. George Montgomery returned home to Iowa after the war and married Arline in 1946. But, as Montgomery hinted in his letter, he was well aware of how precarious life was in battle and that every day could be his last. This realization plagued those who fought, and many made certain they wrote an “in the event I don’t make it back….” letter just in case. Some gave the letter to a friend with instructions to forward it, should the worst happen. 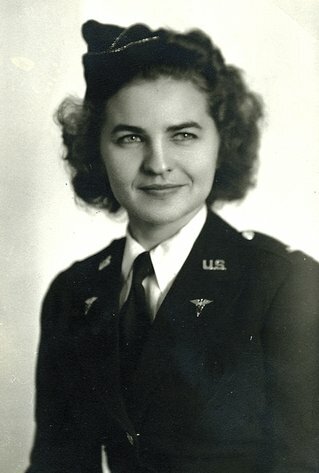 On April 6, 1945, Nurse June Wandrey wrote a letter home and spoke of a “young, handsome, black-haired, married, Italian-American enlisted infantryman [with] an angelic singing voice” by the name of Sammy. That night, Sammy succumbed to his injuries. In the following letter, June describes the anguish she felt at his loss. Exactly six months and ten days later, June Wandrey was heading back to the States. In her last overseas letter to her family, she wrote: “I have no idea how long it will take us to cross the Atlantic this time. It’s incredible that I should be coming home in one piece. Love, June.” Wandrey would receive a total of eight battle stars for campaigns in Tunisia, Sicily, Naples-Foggia, Anzio, Rome-Arno, Southern France, Rhineland, and Central Europe. 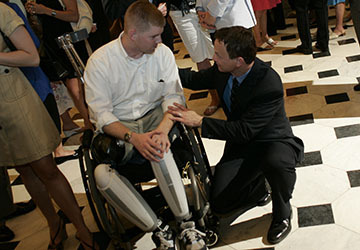 As veterans return from conflict, many find it difficult to share their stories, particularly with those who have not endured the realities of war. 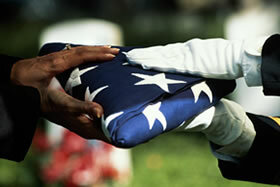 For the National Memorial Day Concert, personal narratives serve as a window into that greater experience. 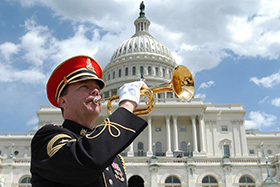 Through documentary films, dramatic pieces performed by professional actors and carefully chosen music offerings, the events of a wartime story become immediate and the struggles of service members and their families are shared in a way that engage the audience allowing them to participate in the performances. But it is the experiences of each person who served and sacrificed and the experiences of their families as well that are at the heart of the show and of the letters in Andrew Carroll’s book. Without these individuals, there is no narrative. Learn more about Andrew Carroll’s work on The Legacy Project, the letters in his book, War Letters (reprinted with permission) and the other books highlighting correspondence from the front. 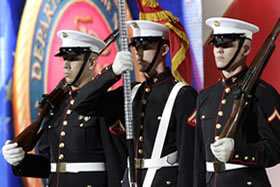 If you have a letter you would like to submit, visit the Legacy Project for details on how to share and preserve the individual experiences of our nation’s military history. 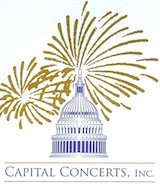 Capital Concerts, Inc. is the nation’s leading producer of live patriotic television shows including the National Memorial Day Concert and A Capitol Fourth broadcast annually from the West Lawn of the U.S. Capitol in Washington, D.C. After more than 25 years, these two award-winning productions have become national traditions, bringing us together as one family of Americans to celebrate our freedom and democratic ideals and to pay tribute to those who defend them.